Editor's Note: This Women’s History Month, Bumble is celebrating women from all walks of life, across centuries and generations, who didn’t believe in sticking to the rules. These founding members of our First Movers Club didn’t let gender norms — or anything else! — hold them back. They left their mark by making the first move, and the world is a better place thanks to their bravery and boldness. While so many Americans across the country were gearing up to fight in World War I, Alice Paul was preparing for a battle of her own. One of the premier faces of the woman suffrage movement, Paul was arrested seven times and imprisoned three over the course of her campaign for women's rights. 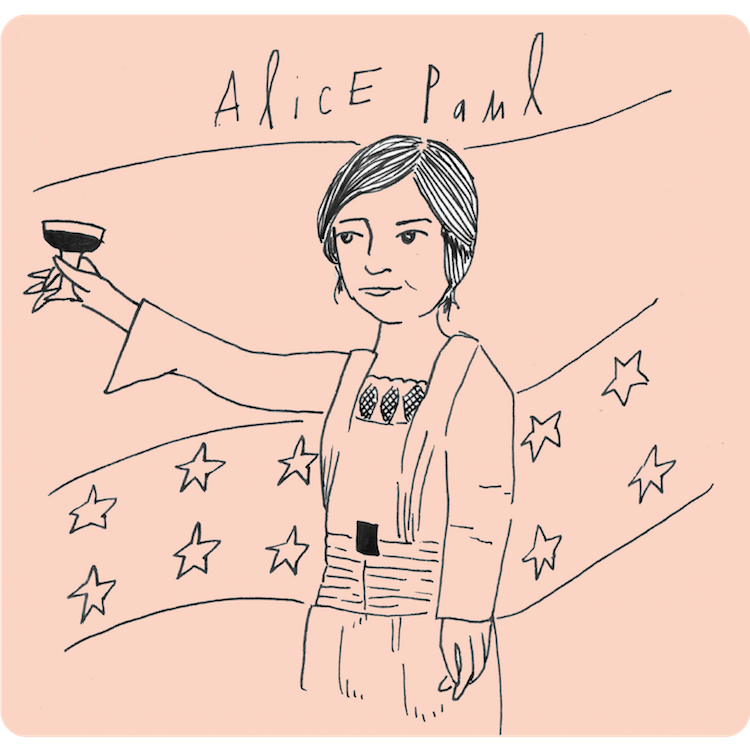 We honor Alice Paul this Women's History Month, and celebrate her hard-won fight to further women's equality. To learn more about why Paul has our vote, read on. Paul first became involved with the suffrage movement while studying in England, where she met fellow American suffragist Lucy Burns. Paul led the original women’s march on Washington in 1913, rallying more than 5,000 women to fight for suffrage, including famous activist Helen Keller. Frustrated with what she saw as American suffragists’ conservative strategies, Paul founded the National Woman’s Party, which utilized radical tactics such as hunger strikes to fight the status quo. In 1917, Paul and her group of Silent Sentinels organized the first known picketing of the White House, which lasted for months. In 1922, Paul wrote the first version of the Equal Rights Amendment — almost a century later, the amendment still has yet to be ratified. See more of our fabulous First Movers here!